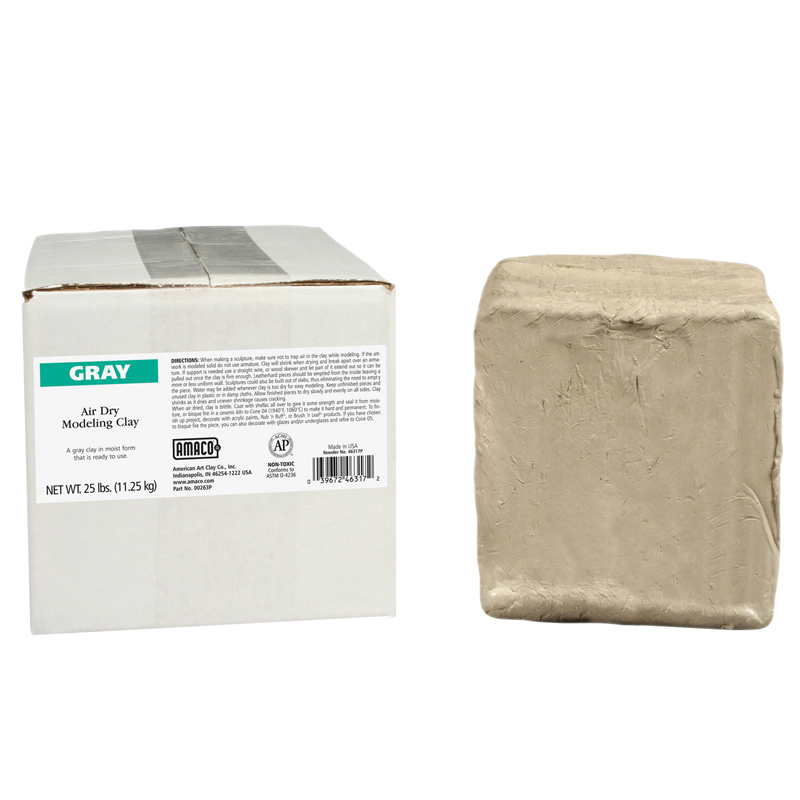 Our inexpensive all-purpose air dry clay is perfect to sculpt, hand model, or throw on a potter's wheel. Air dry your finished pieces slowly and evenly on all sides. Decorate with paint. Seal with shellac for strength and to waterproof. 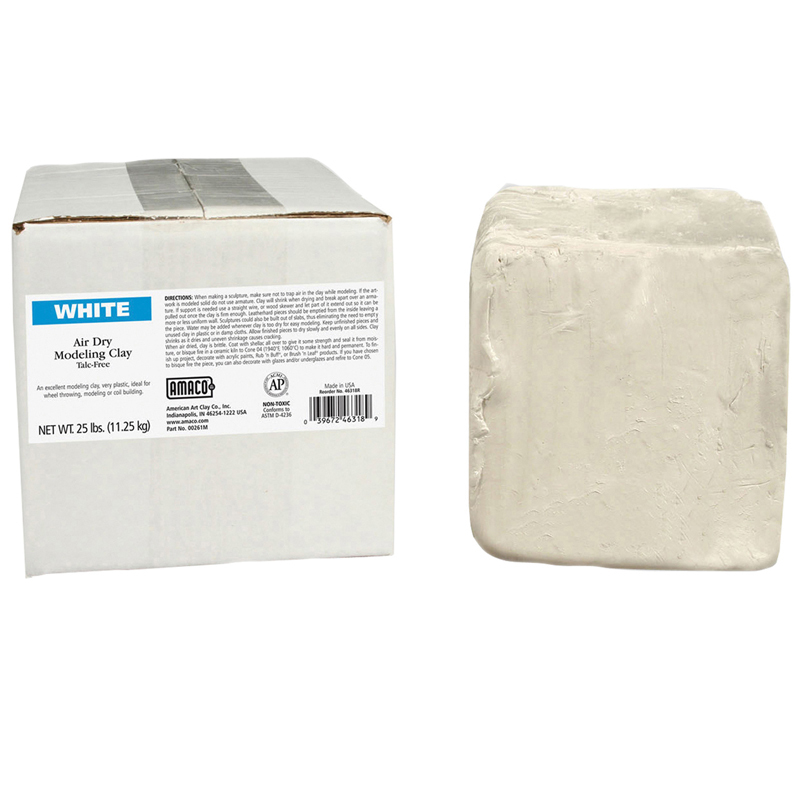 This clay can also be fired to cone 04 for hardness/permanence and to glaze. Includes 25 lbs. of Terra Cotta air dry clay. 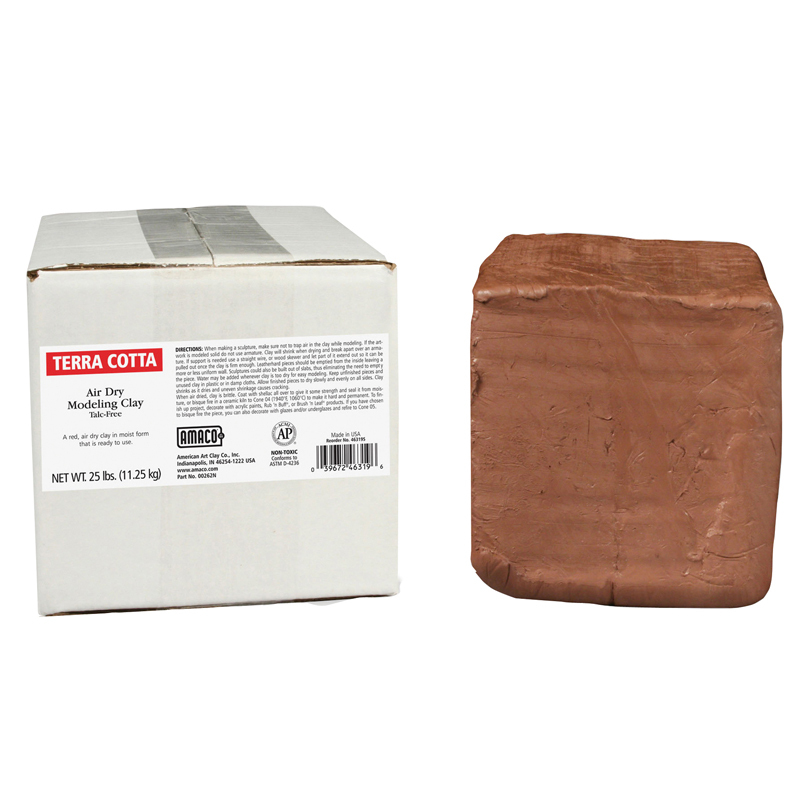 The Amaco Air Dry Clay Terra Cotta 25lb can be found in our Clay & Clay Tools product category within the Arts & Crafts.